Everybody’s seen them; the phone and cable company vans scurrying about with the long arm folded back over the roofs. In most cases, a bucket-like apparatus sits at the extension of the extendable arms. These vans exemplify a type of utility vehicle known as a boom truck. 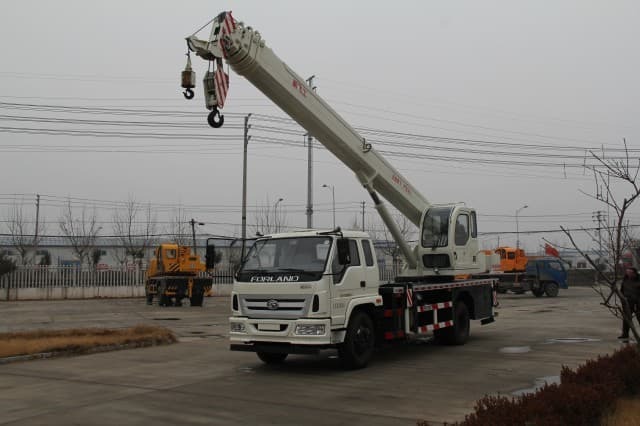 A bucket boom truck, sometimes called a cherry picker, is a vehicle with an extendable boom mounted to the bed or roof. A bucket boom may be used to lift workers to the top of a phone or electrical pole, or to a high roofline. 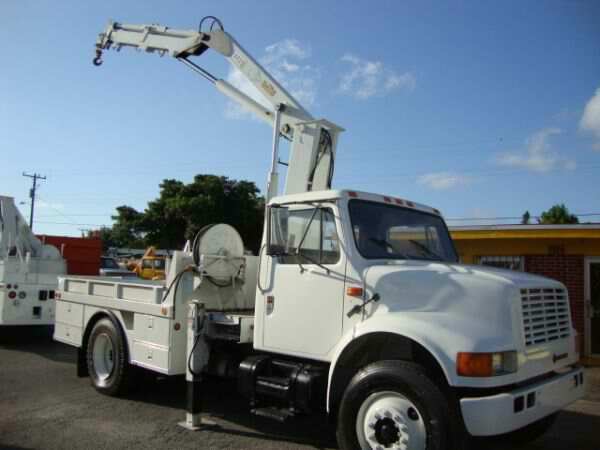 Also known as an aerial boom truck, these trucks are a fairly common sight around town. 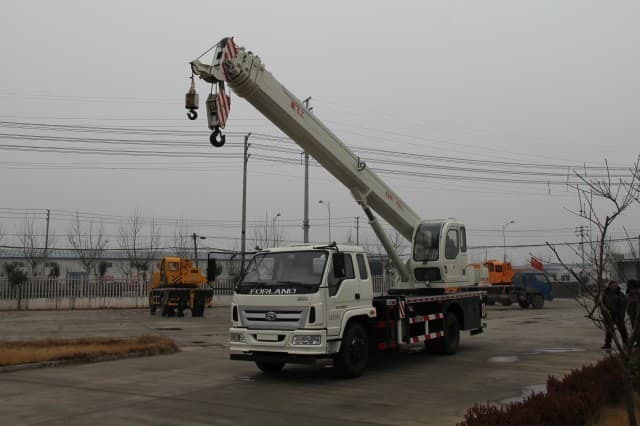 Bucket boom vehicles typically have a lifting capacity of some 350 pounds (158.76 kg) to 1500 pounds (680.39 kg), and may extend the bucket up to 34 feet (10.36 m) in the air. 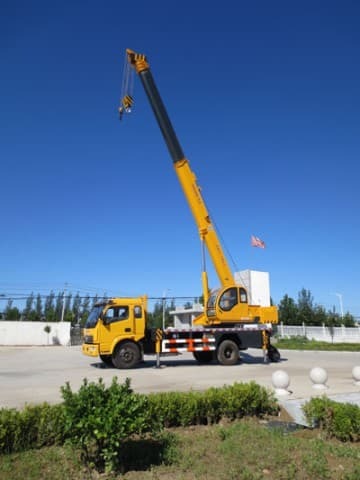 Larger vehicles, construction boom trucks, or heavy equipment boom trucks, may have a crane at the rear of the truck that’s used to lift heavy items onto the truck bed. 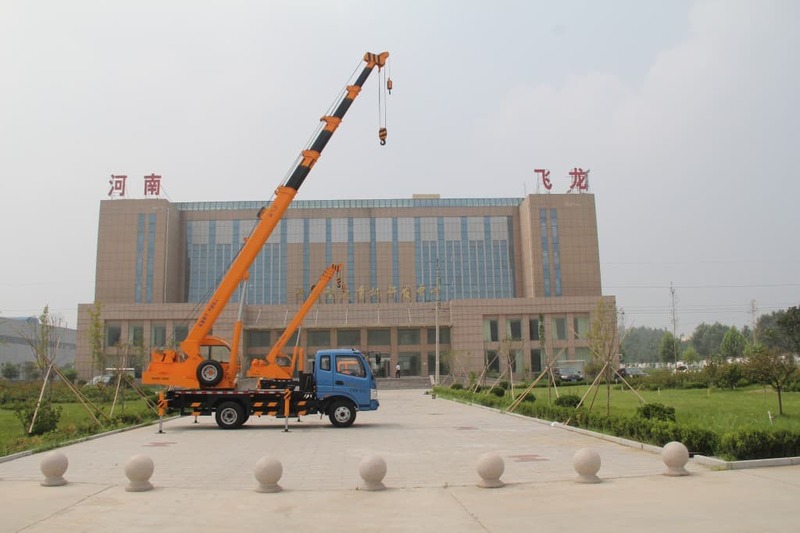 These cranes may be short and compact, called a knuckle boom, or the boom crane may extend the length of the truck bed, which is a trolley boom. 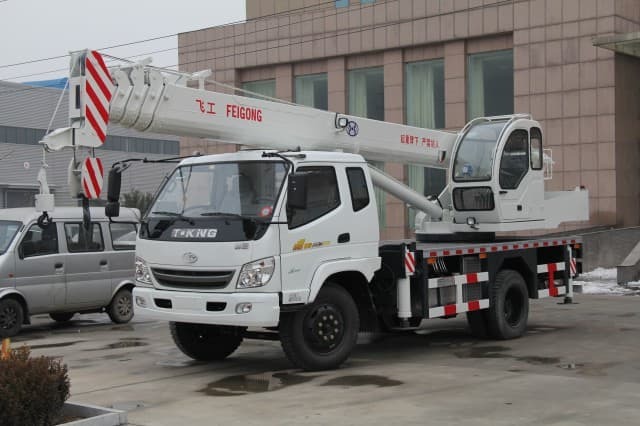 Crane boom trucks have a lifting capacity of 10 tons (9.07 metric tons), to approximately 50 tons (45.36 metric tons) for some of the larger vehicles. 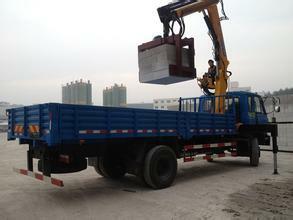 There are also concrete boom trucks. The booms on these types of vehicles contain a pipe with a nozzle at the far end, and are used to pump concrete and other materials into specified areas. These areas are, in most cases, inaccessible to the vehicle, or are at a considerable height. The boom on a larger concrete boom truck may be extended some 230 feet (71 m). Material is then pumped from the vehicle through the extended boom and directly into the space where it is needed. Many fire departments are equipped with a fairly lengthy bucket boom to raise firefighters to the upper levels of a building. From there, they may direct water onto the flames, or they may be used to rescue trapped victims. Boom trucks are often a replacement for, or an adjunct to, many of the older hook-and-ladder trucks. 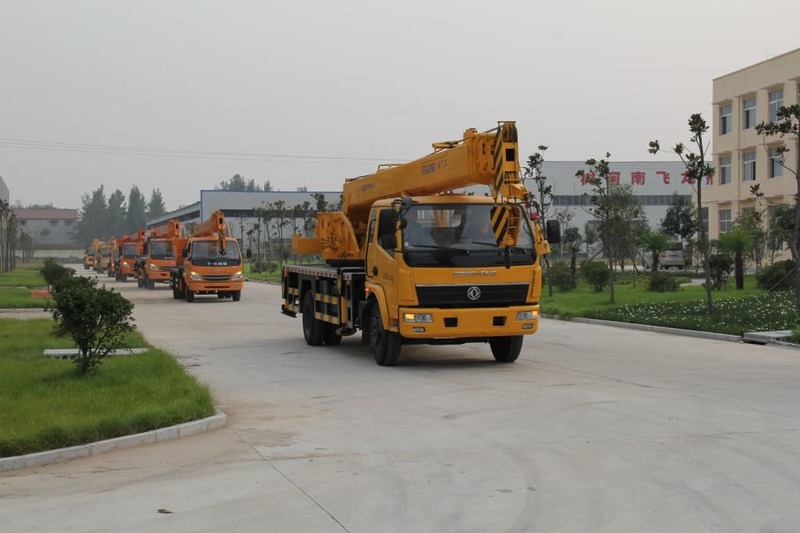 There is, as well, a small self-propelled boom truck, similar to a forklift that is available for large warehouses or manufacturing facilities. 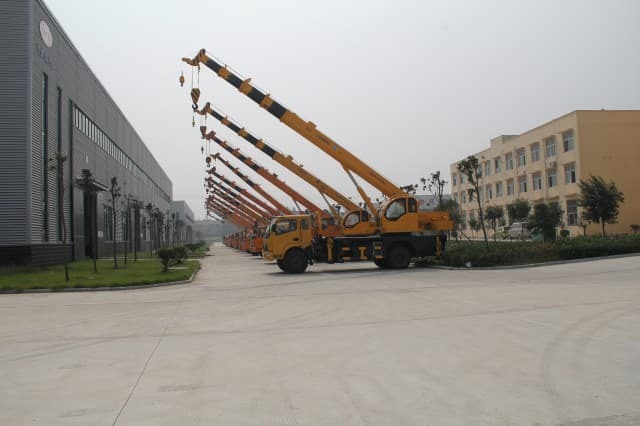 These mini boom trucks can lift workers to the ceiling of the building or to upper storage areas. They are far safer and more convenient than using an extension ladder for the same purpose.